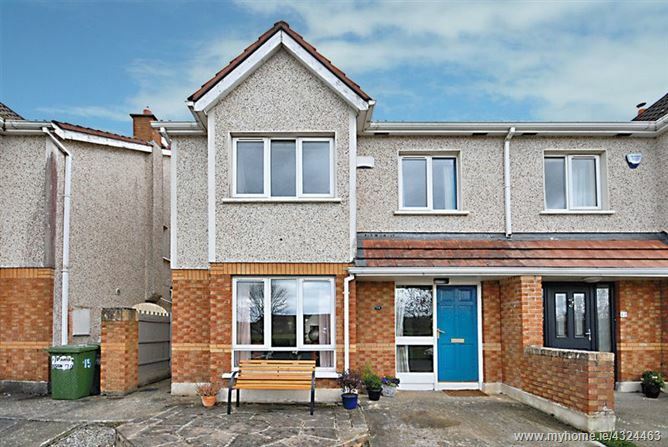 Baxter Real Estate are delighted to present to the market this spacious, extended, 4-bedroom/3-bathroom, semi-detached family home, which occupies an area of approximately 116 sq.m./1,246 sq.ft., with a further 27 sq.m./286 sq.ft. in the converted attic. On entering, you are greeted with a living room which features a solid wood floor, and a feature fireplace with a solid-fuel stove insert. French doors lead from the living room to the kitchen/diner. 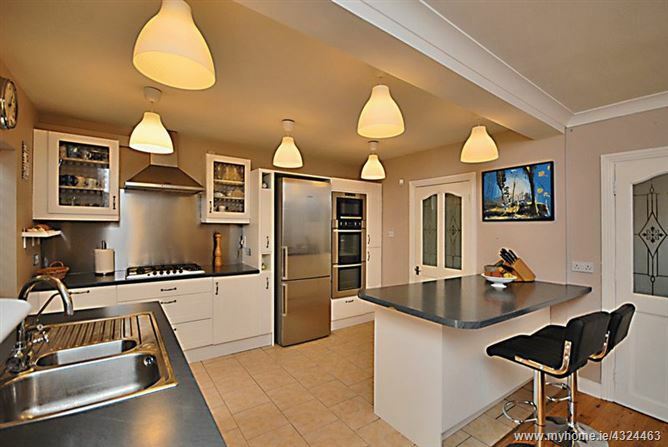 The kitchen has a tiled floor, a stainless steel splashback, a breakfast bar and more than ample storage. The dining area, with its wooden floor, opens into the sunroom, from which there is access, through French doors, to the south-east facing, low-maintenance, rear garden. 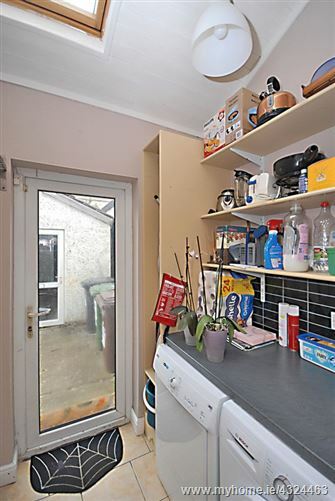 There is also a utility room, with tiled floor, located adjacent to the kitchen. A guest w.c. completes the ground floor. 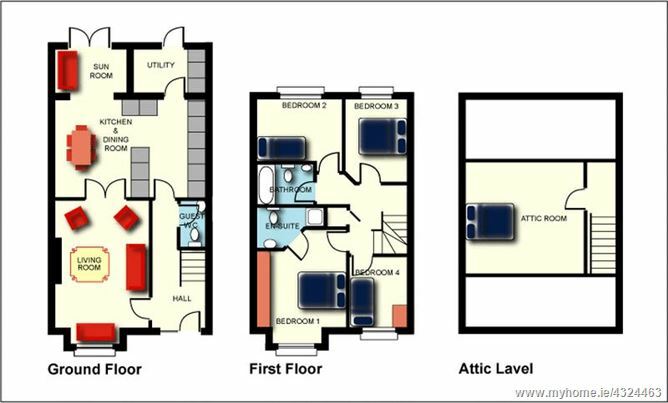 At first-floor level, there are 4 bedrooms, all with built-in wardrobes and laminate floors. 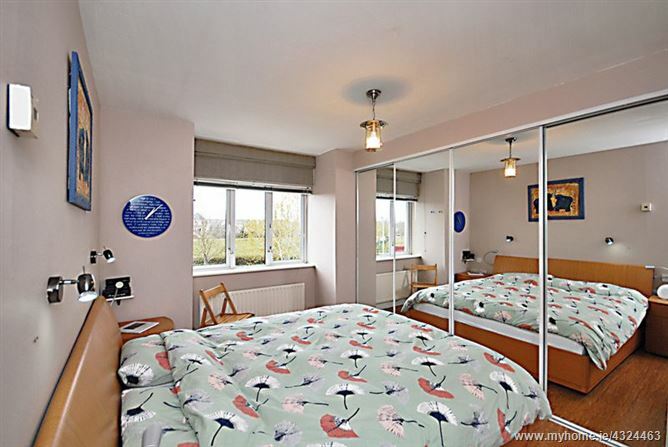 The master bedroom's large wardrobes feature sliding mirrored doors. The master bedroom is further enhanced by having an en-suite bathroom, with tiled floor and shower cubicle. 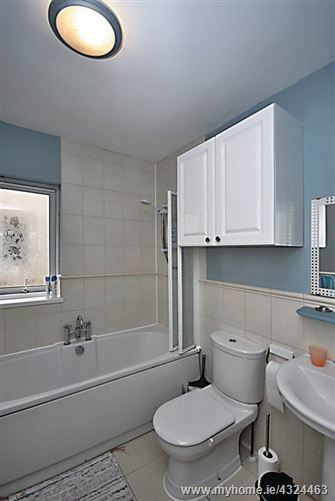 A spacious family bathroom, with tiled floor and bath surround, serves the other 3 bedrooms. 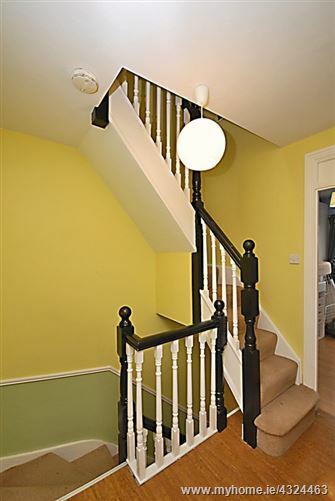 From this level, stairs lead up to the converted attic. It features a laminate floor, 2 skylights, and storage in the eaves. 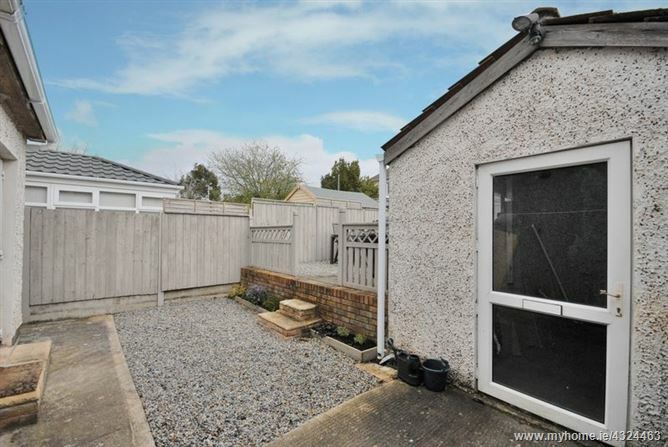 The low-maintenance rear garden, which has side access, also benefits from having a large concrete outbuilding, which could be put to a variety of uses. 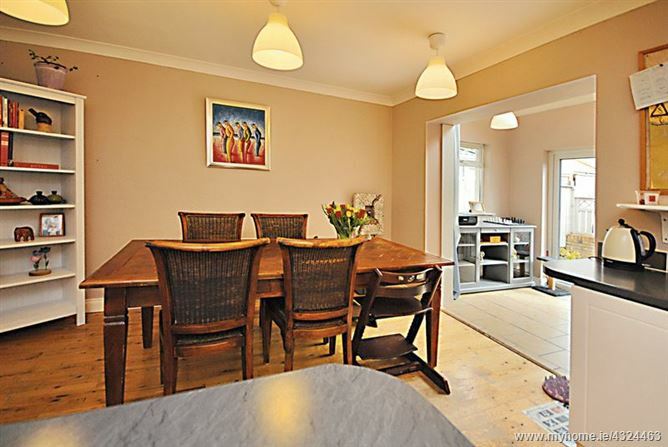 This family home is located in a much sought-after neighbourhood, close to numerous amenities, such as shops and schools. It also benefits from its close proximity to Blanchardstown Centre and numerous national and multi-national companies. 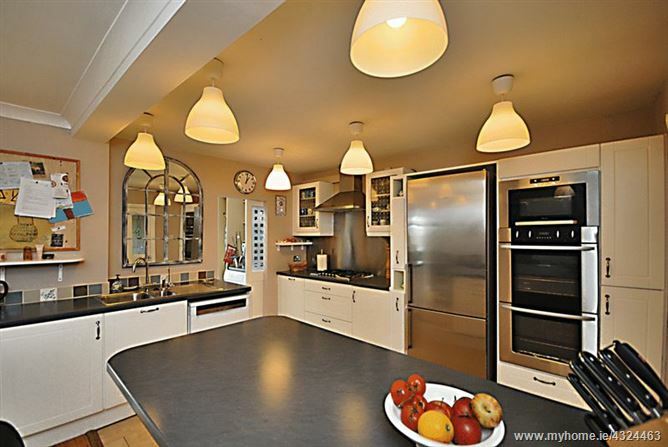 It is located close to both Ongar and Clonee Villages, and the many amenities and facilities found in both. 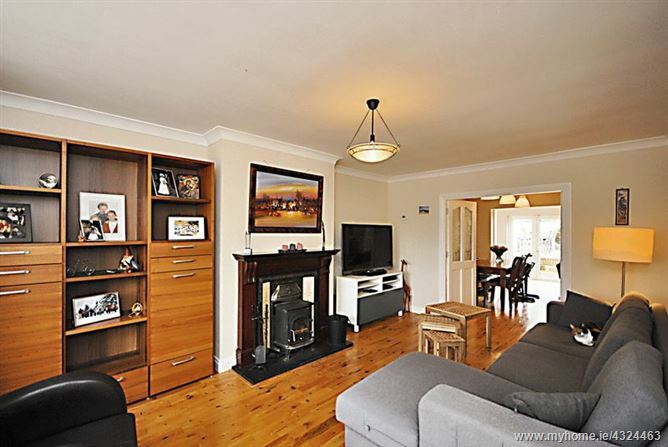 The area is well-serviced by public transport, both buses and trains, and the N3 is only a short drive away providing access to the M50, the national road network, Dublin city centre and Dublin Airport. Please note that all information, including areas, is given for guidance purposes only. We have not tested any appliances and all parties must undertake their own investigation into the condition of these appliances and to all other information provided. 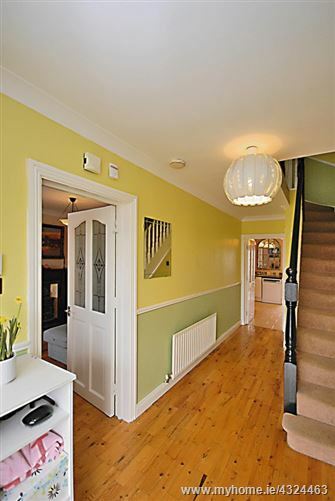 Owner-occupied, extended, 4-bedroom/3-bathroom, semi-detached home with converted attic. 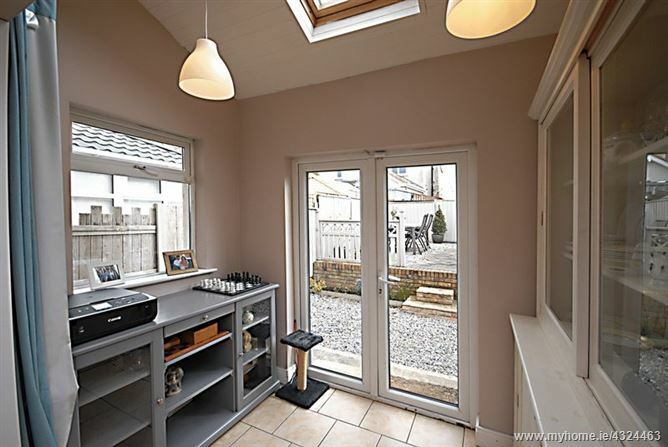 Sunroom, utility room and attic conversion. 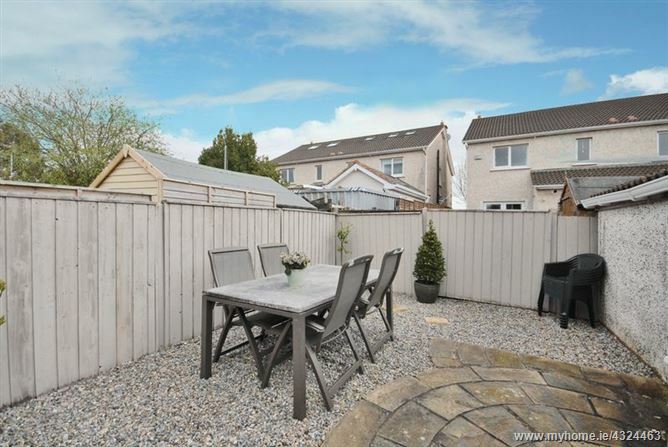 Situated in a popular residential estate close to numerous amenities. Short drive to the N3 and M50. Side access to south-east facing rear garden. Large concrete outbuilding, suitable for a variety of uses. 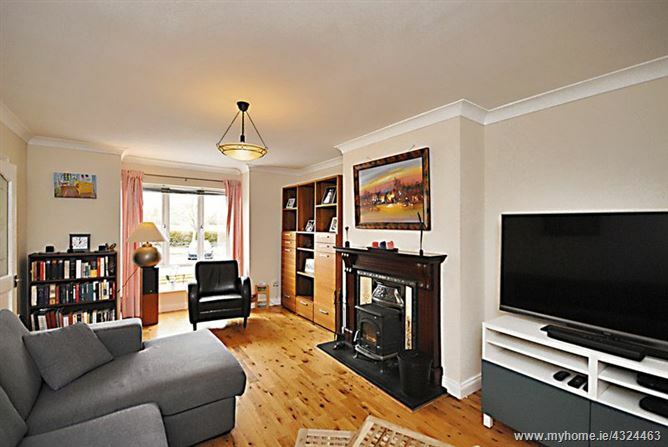 Living Room - 17' 4'' x 11' 10'' (5.29m x 3.60m) - Solid-wood floor, a solid-fuel burning stove, and French doors leading to the kitchen/diner. Kitchen/Diner - 19' 0'' x 12' 6'' (5.78m x 3.82m) - Tiled floor and breakfast bar in the kitchen area, solid-wood floor in the dining area. Sunroom - 8' 10'' x 5' 7'' (2.68m x 1.71m) - Tiled floor, and French doors leading to the south-east facing rear garden. Utility room - 9' 1'' x 5' 6'' (2.78m x 1.68m) - Tiled floor. Guest w.c. - 5' 5'' x 2' 6'' (1.661m x 0.77m) - Solid-wood floor. Master bedroom - 12' 4'' x 11' 2'' (3.75m x 3.41m) - Built-in wardrobes with sliding mirrored doors and a laminate floor. 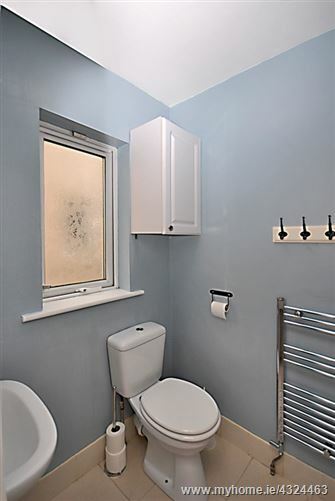 En-suite - 8' 8'' x 5' 0'' (2.65m x 1.53m) - Tiled floor and shower cubicle, and a power shower. 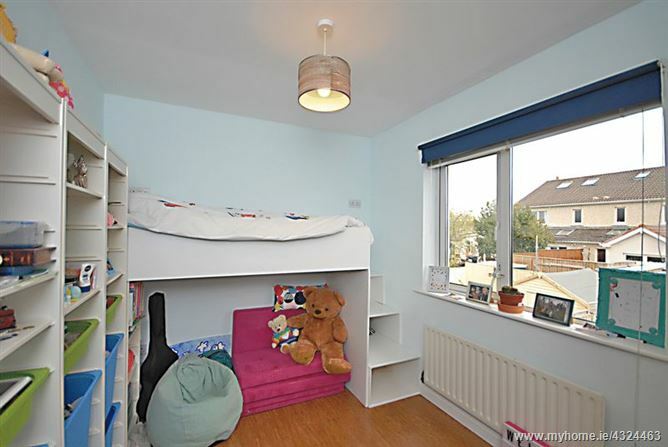 Bedroom 2 - 8' 0'' x 10' 9'' (2.45m x 3.27m) - Built-in bed and a laminate floor. 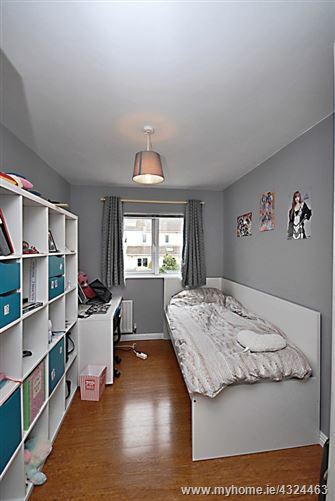 Bedroom 3 - 12' 1'' x 7' 11'' (3.68m x 2.42m) - Built-in wardrobes and a laminate floor. 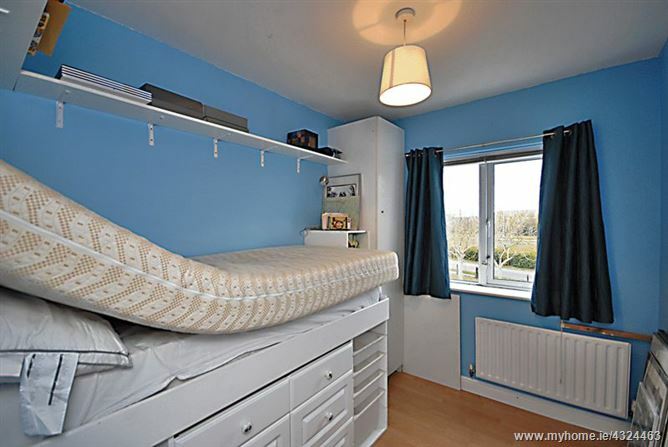 Bedroom 4 - 9' 3'' x 7' 5'' (2.82m x 2.25m) - Built-in wardrobe and bed, and a laminate floor. Family Bathroom - 7' 5'' x 5' 9'' (2.25m x 1.76m) - Tiled floor and bath surround, with electric shower. 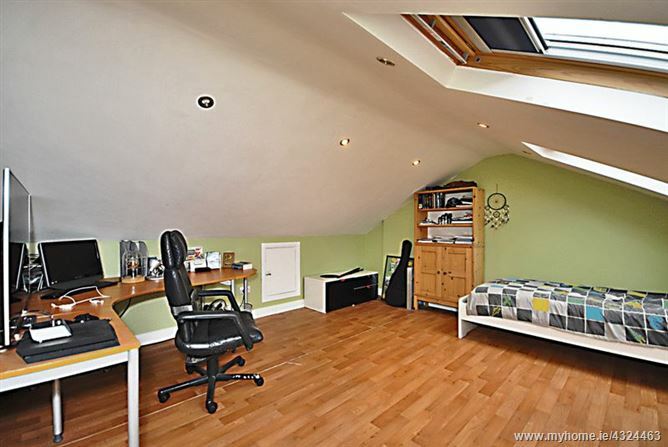 Attic - 15' 0'' x 14' 3'' (4.56m x 4.35m) - Linoleum floor, 2 skylights, and storage in the eaves.